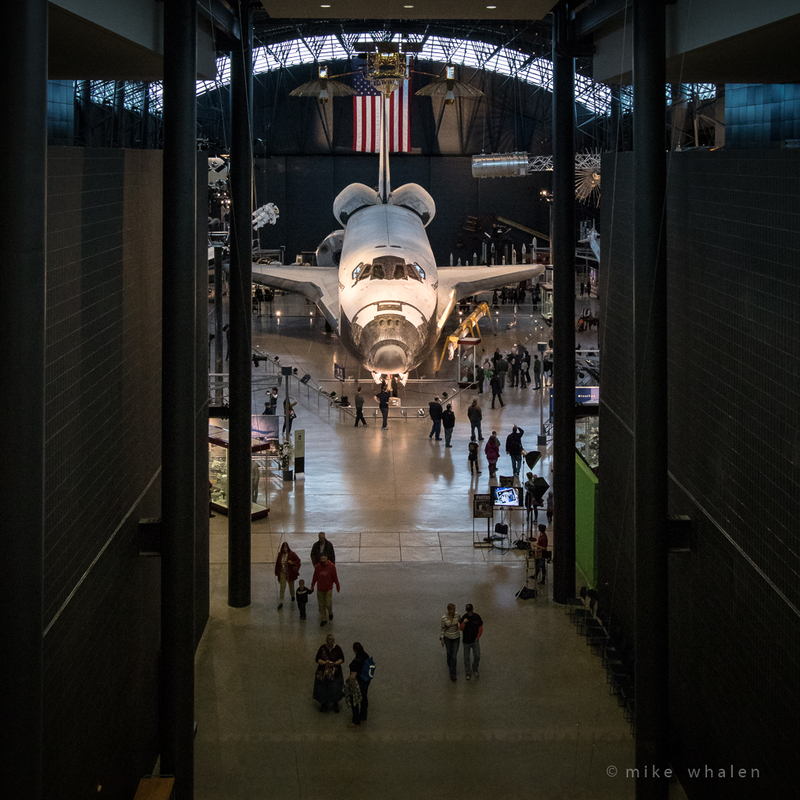 The Steven F. Udvar-Hazy Center is the destination for the NVPS February Field Trip, scheduled to meet at 10:00 AM on Saturday, February 16th. The museum is located in Chantilly near the Dulles Airport, accessible from Route 28. The Center is the companion facility to the National Air and Space Museum at the National Mall. There are hundreds of aircraft and spacecraft on display including a Lockheed SR-71 Blackbird a super-sonic spy craft, the Boeing B-29 Super Fortress Enola Gay that delivered the decisive atomic attack on Japan that ended the WWII in the Pacific theater, the Space Shuttle Discovery, among many others. Other current exhibits include: Aerobatic Flight, Application Satellites, Business Aviation, Clouds in a Bag, and Cold War Aviation. 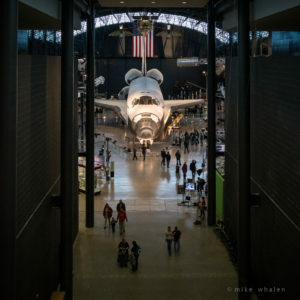 The Center is located at 14390 Air and Space Museum Parkway, Chantilly. As tripods are not permitted inside of the Center, photography can be challenging. None-the-less, the myriad artifacts, displays and architecture provide rich opportunities for creative captures. The museum opens at 10:00 AM. There is no fee for admission, however there is a $15.00 fee to park your car. Accordingly we encourage and will facilitate forming carpools. Refreshments to follow photography will likely be had at one of the several excellent Breweries in nearby Sterling or Ashburn (TBD).